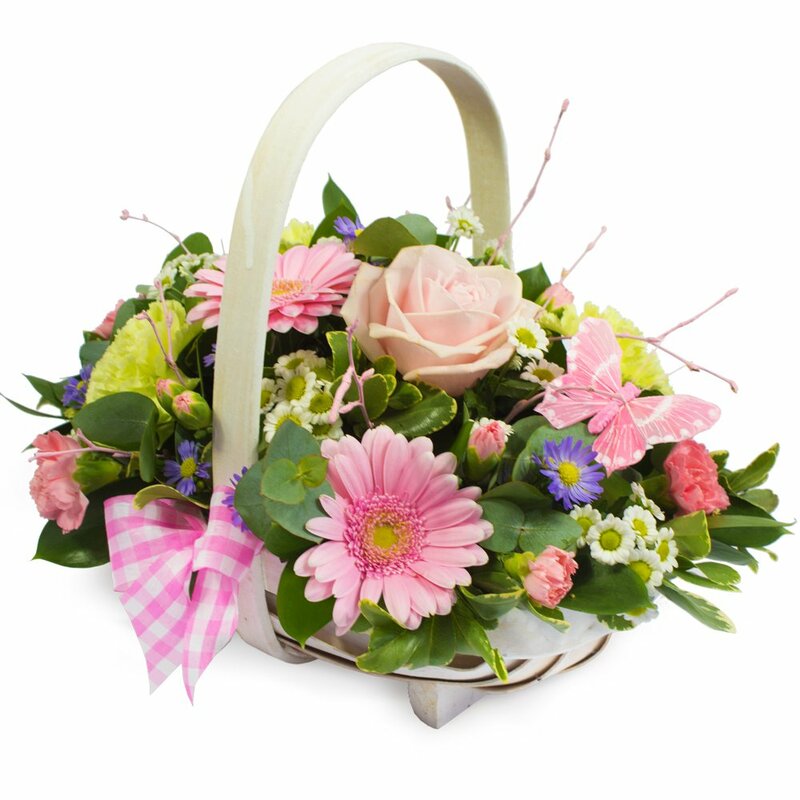 Basket Arrangement Basket arrangement in soft shades of pink. 'Pretty perfect' for Mother's day. Delivery on Mother's Day or another day of your choice. *Fine Print: Pictures shown are recent examples of an actual arrangement that we designed and later sent out to a customer just like you! Can be arranged in the colour of your choice.